*I was sent this teepee in exchange for my honest review. All opinions are my own. 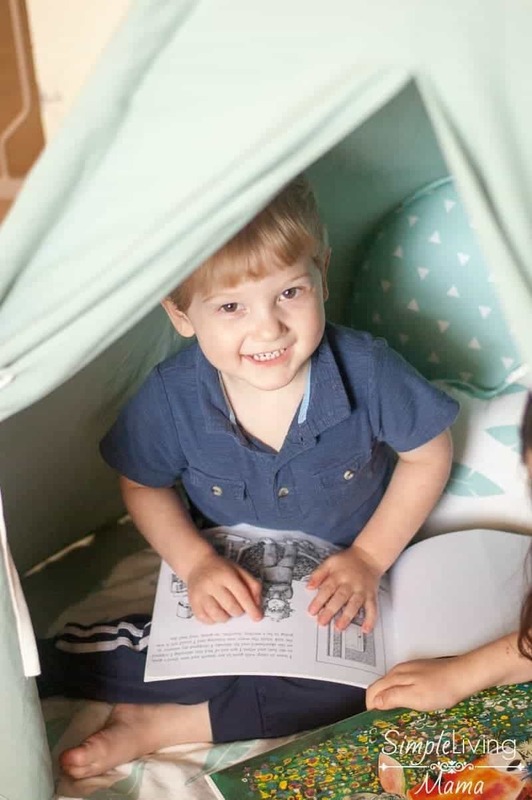 Whether you are doing homeschool preschool or you just want to encourage your preschooler in reading, a preschool reading corner is a fun way to get your child interested in books. 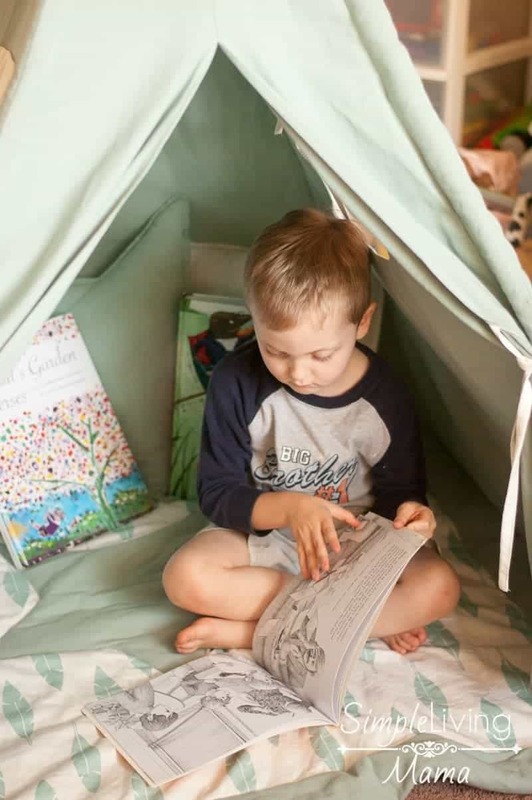 We recently got the opportunity to review a fun teepee from teepeejoy.com and I thought it would be perfect for our new reading space. 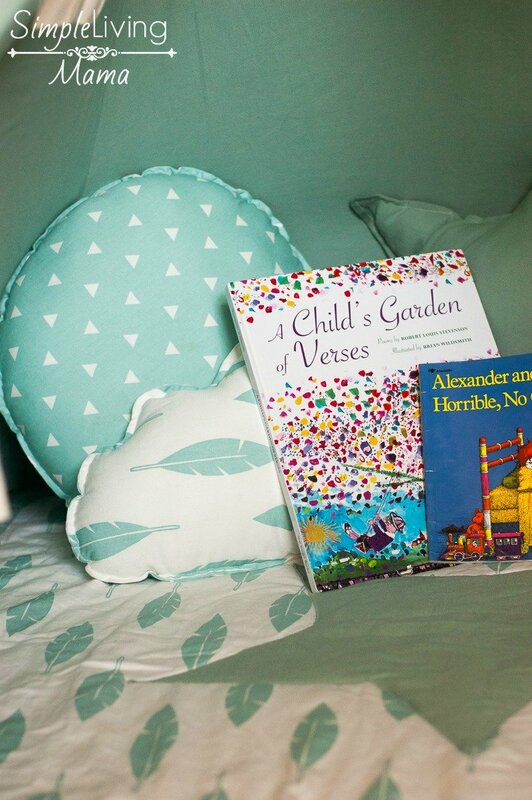 Here I’ll show you how to create a preschool reading corner at home that will encourage a love of literature in your tot. 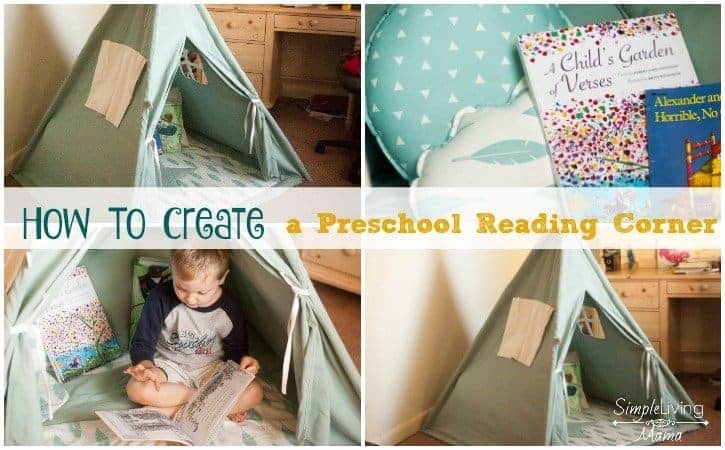 The first thing you want to do when setting up your preschool reading corner is to use something to block off some space. It could be a tent, a bean bag, or a teepee like what we are using. 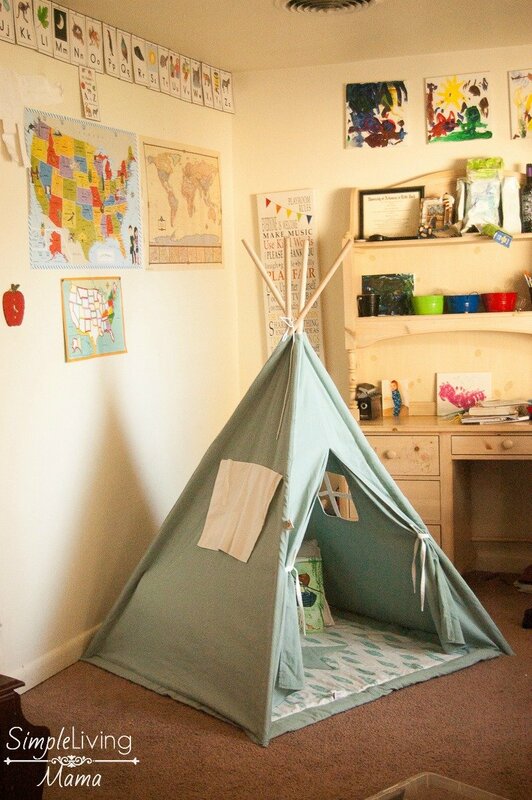 I set up our teepee in the corner of our homeschool room. You will want to make the space comfy. I like to add a nice mat and some pillows to spruce up the space and give the kids something to lean against. This particular mat and all of the adorable pillows are also from Teepee Joy and I love how they match our teepee perfectly and really tie in the look. Of course, you need to add books! 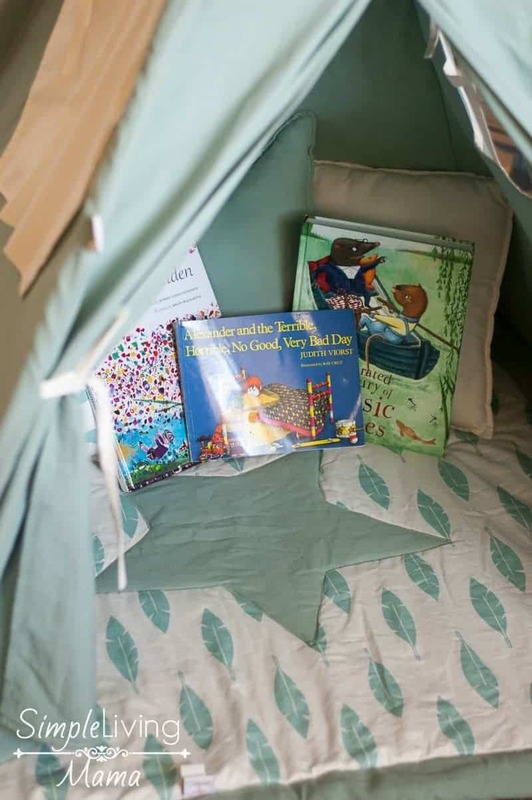 I put a few favorite books in the teepee to encourage the kids to look through them. You could also set up a bookshelf right next to your preschool reading corner. 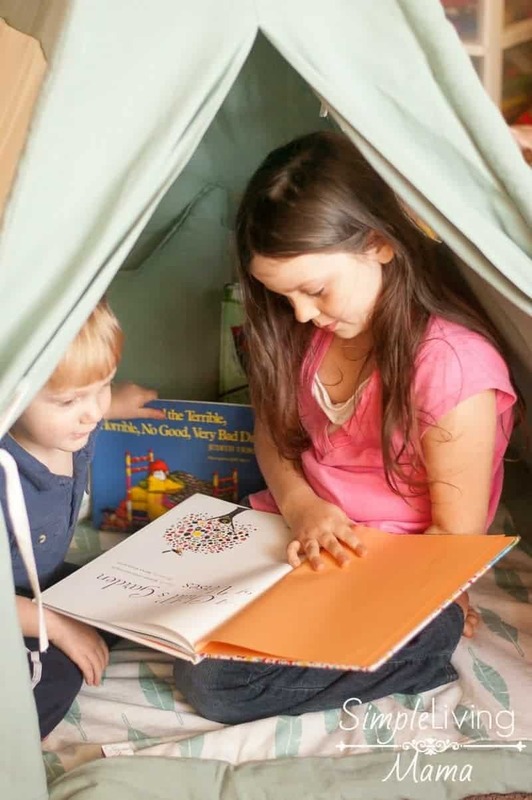 My kids like to go in the teepee one or two at a time and look at their favorite books. My oldest daughter actually closes the door when she goes in there because she likes a more private reading space. I like how this teepee has little windows that you can roll up to allow in more light if your preschooler would rather have more privacy. 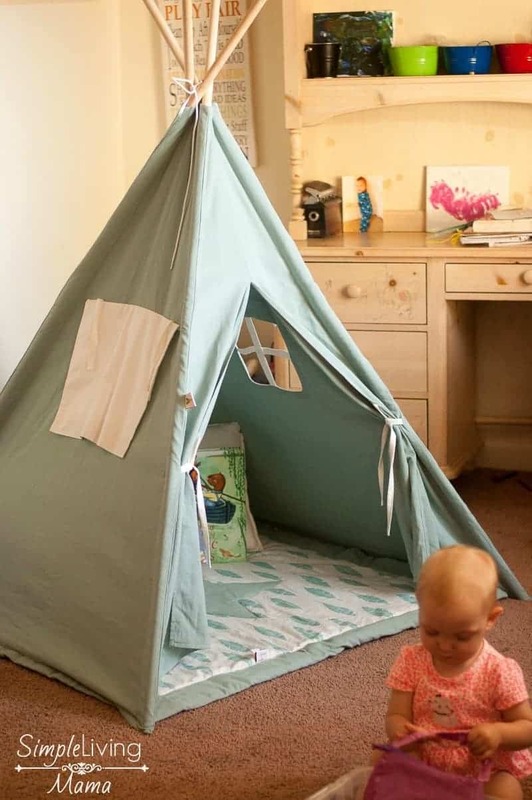 As you can see my toddler is loving the teepee space! Here’s another view of our preschool reading corner all set up in our homeschool room! It’s ready for the kids to come relax and look at a book. Look how cute this mat is! Feathers and stars in my favorite color. It’s comfy for the kids, too! And here you can see my preschooler taking advantage of his new reading spot. I will try to do anything I can to get my kids interested in picking up a book. If you watch the video below, I give you a run-down of some of my favorite books. 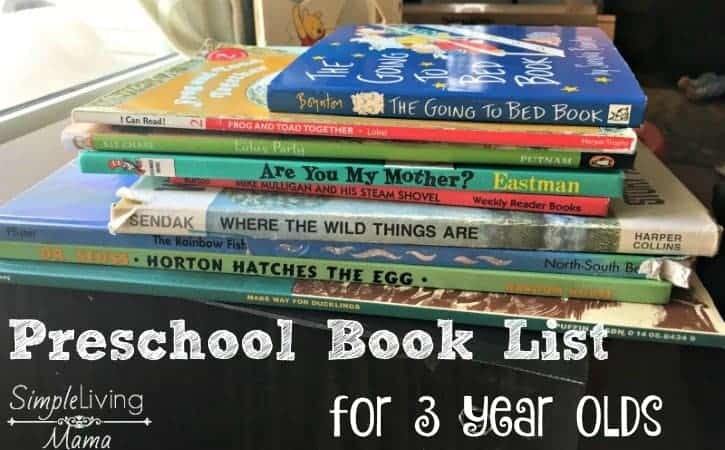 These have all made my preschool book list for 3 year olds, or my preschool book list for 4 year olds. But, I’ll leave the Amazon links down below if you’d like to check them out for yourself. 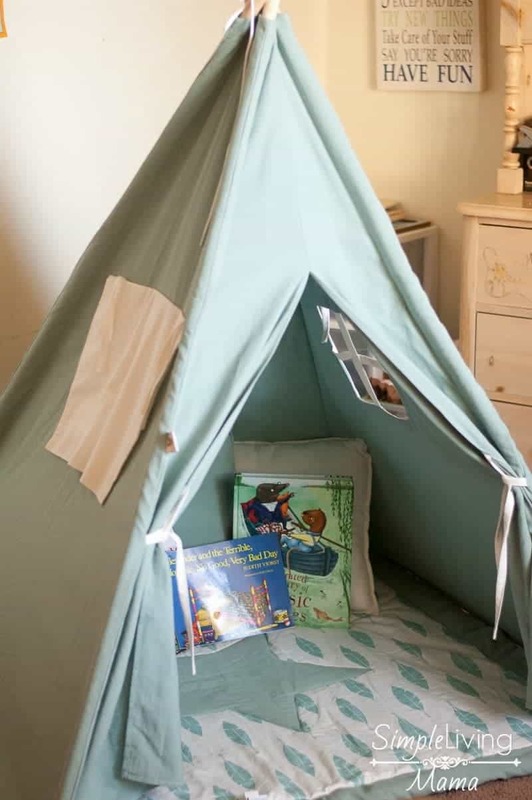 Don’t forget to check out Teepeejoy.com if you are interested in a high quality teepee for your own preschool reading corner, or even just your kids’ play room! I absolutely love reading the classic childrens book to mine. Your blog and further research of MFW is what opened my eyes to all those long forgotten childhood books. MFW phonics just did not seem as if it would be compatible for us. I did not want to lose out on all that literature based learning so again I took to research. We settled on Five in A Row. If you have not looked into it you might consider it. You have many of the titles and it is CM based. I am not sure how it would work with your MFW but it might be worth a look. 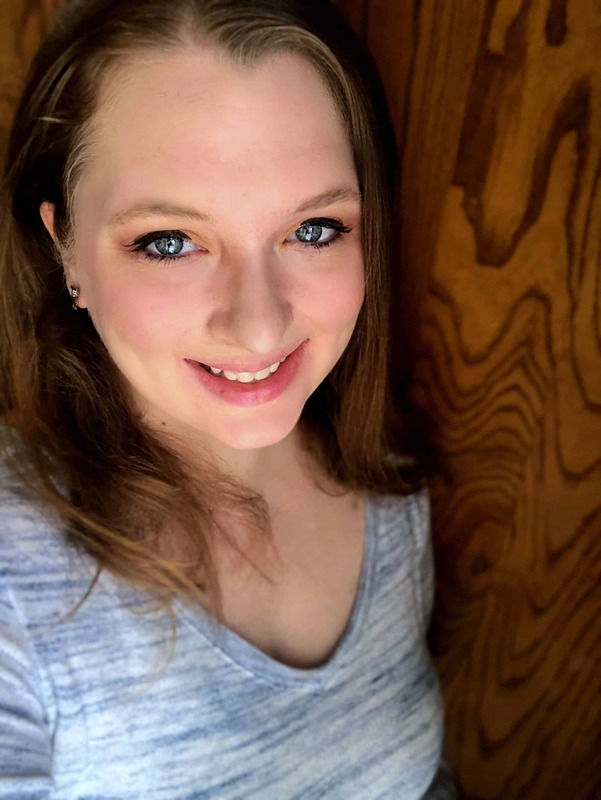 Your blog and vlogs are extremely helpful, thank you so much. Five in a Row looks like an excellent choice. I agree the phonics in MFW can be a bit difficult for some. It does seem to move slowly. I am not using it with my second child and am debating whether I will use their phonics program with my third. Thank you so much for the kind words. 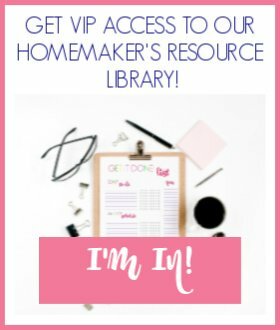 I love to help other moms!